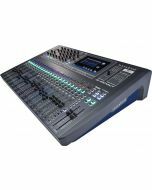 The Compact Stagebox is an extension to the range of Soundcraft digital live sound consoles, and adds a low-cost expansion option to the Soundcraft Vi Series, Soundcraft Si Series, Soundcraft Vi1 and Soundcraft Si Compact. 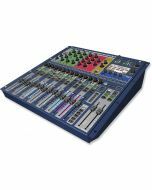 The Soundcraft Compact Stagebox offers a high density of I/O connections in only 4U of rack space. 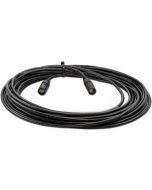 The Compact Stagebox is connected to the host console using either Cat-5 or Optical-fibre MADI, the same way as the larger 64 Mic/line Vi6 Stagebox is hooked up, and shares the same redundant MADI cable capability. The unit comes complete with twin redundant power supplies, thermostatically-controlled fan cooling and full LED status monitoring. 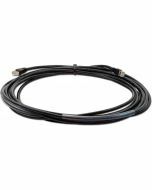 An 8ch GPIO interface is also provided. 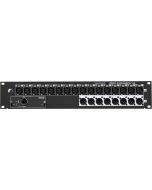 The modular unit is fully configurable but is offered with a standard configuration of 32 mic/line inputs, and either 16 line outputs, or 8 line + 8 AES/EBU outputs. 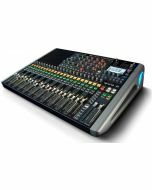 Expansion slots allows connection to most popular digital formats, including CobraNet, AVIOM A-Net16, Ethersound, ADAT and RockNet. 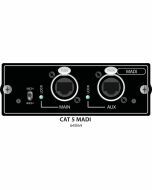 A MADI recording interface can also be fitted to the expansion slots.